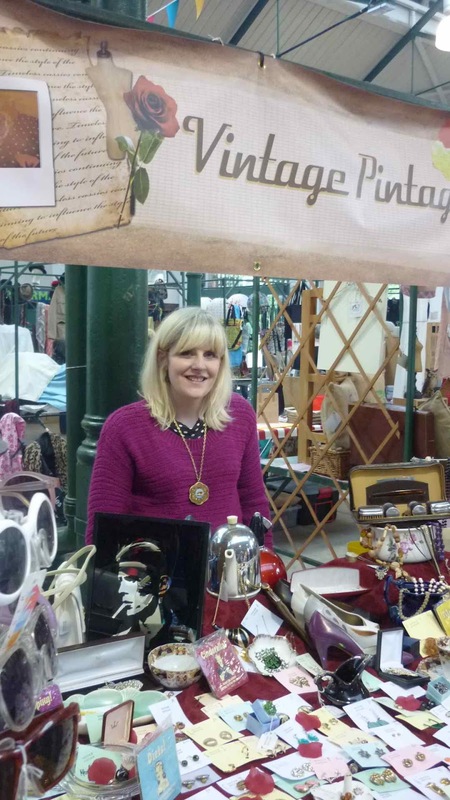 Vintage Pintage is owned by Danielle Spence, who sources her vintage goods from house clearances and vintage wholesalers. 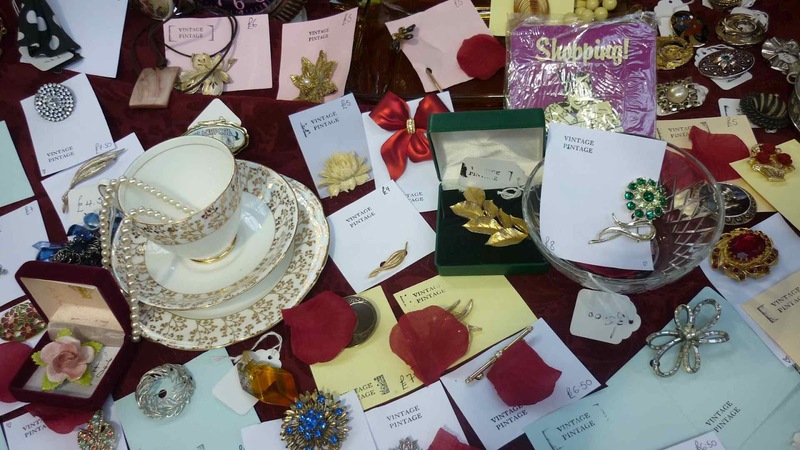 She's got a lovely selection of brooches, handbags, scarves, shoes and clothing, as well as small homewares like cups/vases etc. I love that there's a story behind each item - it's like picking up a piece of history. Did I buy? Of course! 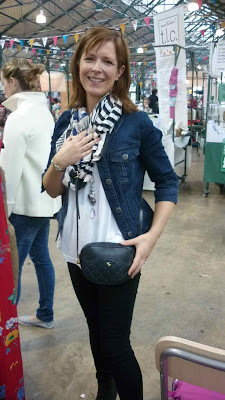 My hot pink Kurt Geiger got sidelined by this Chanel inspired navy quilted cross-body bag - a bargain at £16! I also got a fab scarf...it's going through the wash now so watch this space! You can follow Vintage Pintage on Facebook and keep an eye out for the online shop starting up. 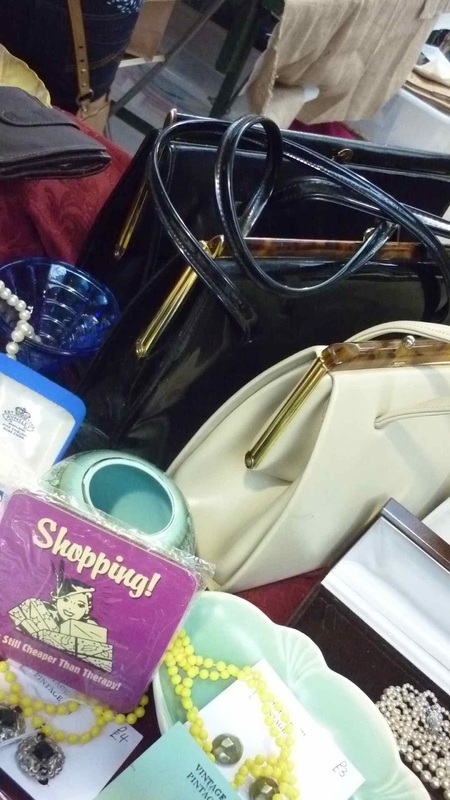 Have you ever had a great vintage find? Leave a comment to tell me about the best places to find vintage where you are. thank you for your post. I have a denim jacket and now I know I can wear it with my darkest jeans, a white blouse and a matching scarf. I was worried it would be too much denim, but I will give it a go tomorrow. I have a great raspberry coloured bag that will set off the outfit as your pink one has. Thank you again. Love how your scarf's tied today, is some whizzy special way?? Was going to post the same comment - think we (ie me! haha) def need a separate post with step by step guide with pics! Love the tea cup on the stall :) Yes, how have you tied your scarf, I always wear mine in the same way, as it's the only way I know ho wto arrange them. 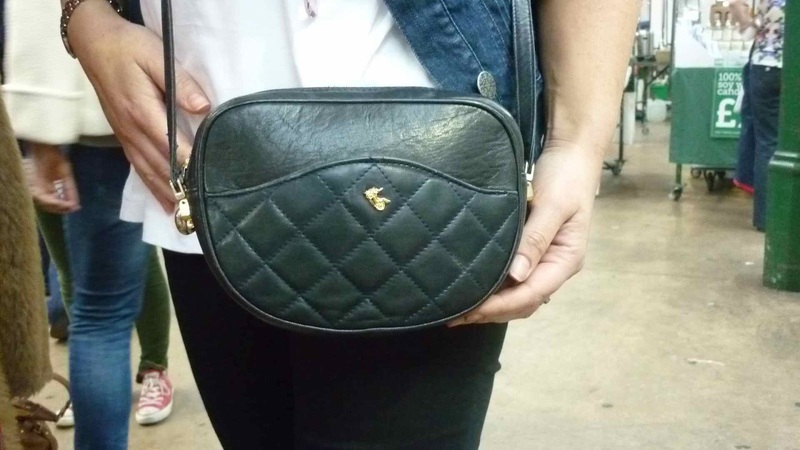 Gorgeous bag Avril! Would love a good poke around that market:) Have a fabulous week! Just put me in any clothes and they are instantly vintage. I'm pure vintage!!! Love the outfit. Any vintage fans out there should look at shutterbug on fb and in the shop in Kilkenny city . The market stall looks great. Blog post on scarf tying would be great. Wendy's amazing video is good, but it would be good to see a 'more real' person doing it, if you know what I mean! Very cute navy bag, mind you I love the pink one! You are so right, Vintage Pintage is a great find and there are some lovely pieces to be found. 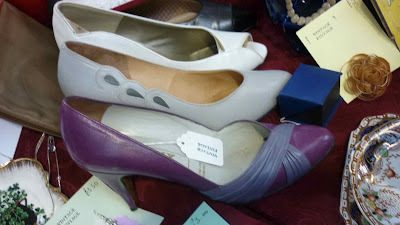 I love that you can find vintage essentials that no-one else will have. Definitely worth a visit!